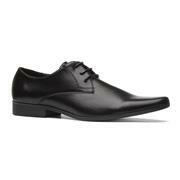 Our range of men’s shoes will make sure you look stylish without breaking the bank. 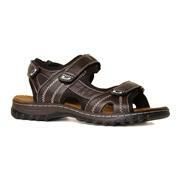 If you’re a man (or you’re shopping for one), then you’ll find footwear to fit every occasion here. 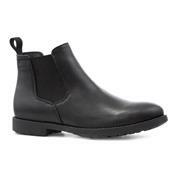 We’ve got fashionable men’s boots in a range of colours and styles, from desert boots to gents' Chelsea boots. 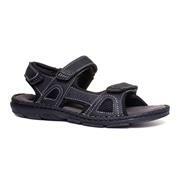 We’ve got lightweight, casual men's sandals that are sure to look great at the side of the pool. For active types, we’ve got men's trainers and football boots from big-name footwear brands that’ll really up your sporting game, whether you’re at the gym or the park. 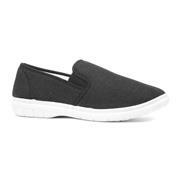 You’ll also find plenty of choice when it comes to men's slippers, loafers, brogues, flip flops, wellies and more! With these shoes in your wardrobe, you’ll be ready to tackle anything life throws at you, whether it’s a wedding, summer holiday or the wettest winter on record! 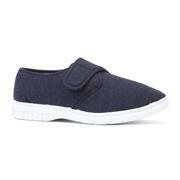 Like all of our shoes, our men’s footwear comes with free UK delivery when you order online. Alternatively, you can click and collect from your nearest Shoe Zone store for free. On top of our great low prices, that’s just another reason to shop at Shoe Zone! 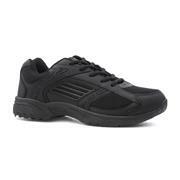 534 products from £4.99 to £74.99. Of course, you’ll need to change your shoes depending on what you’ll be doing with your time – a pair of rugged hiking shoes will support your feet even in the face of the most challenging terrain, whilst some Chelsea boots or ankle boots provide a smart and stylish option for colder weather. 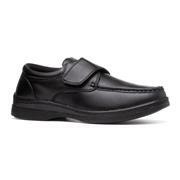 A pair of suede or leather formal shoes like the classic Derby shoe will make a perfect fit for the office. 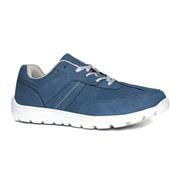 Boat shoes are a favourite for the summer months for creating a relaxed and stylish look. Discover the latest trends in mens boots and shoes as well as timeless styles that never go out of fashion, all just a click away. 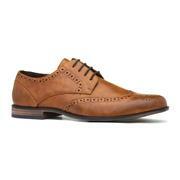 Whether you're looking for a pair of laid back, casual shoes for the weekend or some smart shoes like leather brogues or oxford shoes for a special occasion, you'll find them all in our online store. Our men’s shoes come in a range of different styles and sizes which run right up to a size 13 so you can find just the right fit. 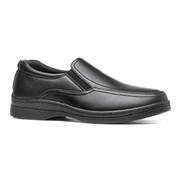 Wide fit options are also available in certain styles. We stock a variety of colours including black brown grey navy and tan so you can find the right match to pair with smart trousers jeans sportswear or even shorts. 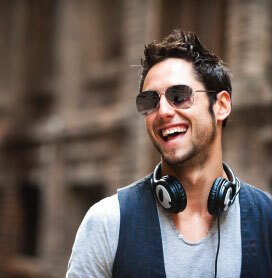 If you're not sure what to wear when check out our men’s style guide to help you decide. As you’d expect from Shoe Zone they’re available at great value prices even our styles from well-known men’s brands like Puma Red-Tape & Hi-Tec. What’s more we offer UK standard delivery and our collect-in-store service for free when you shop with us online. It couldn't be more convenient so if you lead a busy lifestyle simply place your order & await your delivery! 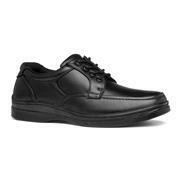 Those in search of quality mens shoes at cheap prices are sure to find something suitable amongst our selection. If you're after even more of a bargain make sure you check out our men’s clearance sale for unbeatable savings. Why not find your perfect footwear fit right now?